The eye wear protects their eyes while on dangerous calls or in training. 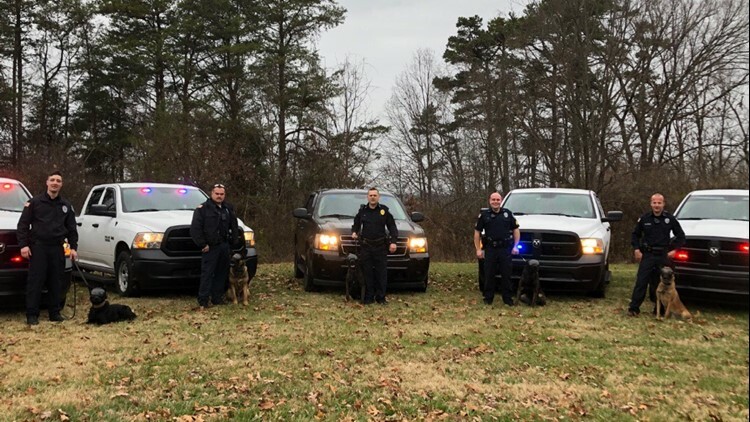 MORRISTOWN, Tenn. — K-9 officers with the Morristown Police Department (MPD) have a new piece of protective gear, thanks to a donation. Smoky Mountain K-9 Sports donated six pairs of Rex Specs to all six MPD K-9s. 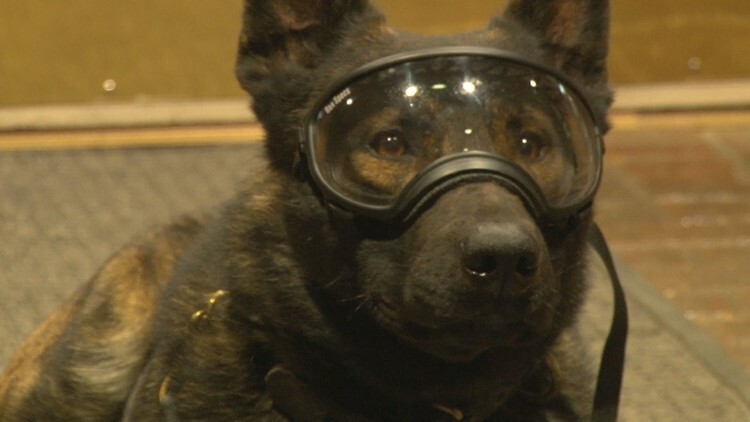 The goggles are designed to help protect the K-9's eyes, especially during training and hazardous working conditions. "These goggles are going to help us mainly in keeping the dogs safe. If we can reduce the vet bills, reduce injury to the dogs, just protecting their eyes, then we're going to come out ahead," said Sgt. Brad Rice, Morristown PD K9 Officer. MPD K-9 Officers and their partners are Captain Dan Cliff with partner Zlatan, Sergeant Brad Rice with partner Rossi, Officer Lucas Watson with partner Baxl, Officer Paul Pressley with partners Dano and Ranger, and Officer Blake McCarter with partner Riot. Sgt. Rice said in situations where the dogs are pursuing a suspect, for instance, they would put the goggles on the K-9 to prevent its eyes from being scratched or pierced by underbrush or thorns. He said the donation means a lot to the department. "We love having the community support we do, I'm very grateful to work in an area where we do have this kind of support," said Sgt. Rice. All MPD K-9s are dual purpose, meaning they are trained for apprehension and either explosive ordnance or narcotics detection. Morristown PD K-9 Rossi is wearing protective eye goggles donated by Smoky Mountain K-9s. MPD K-9 Officers and their partners are Captain Dan Cliff with partner Zlatan, Sergeant Brad Rice with partner Rossi, Officer Lucas Watson with partner Baxl, Officer Paul Pressley with partners Dano and Ranger, and Officer Blake McCarter with partner Riot. All MPD K-9s are dual purpose. They are trained for apprehension and either explosive ordnance or narcotics detection.